Full softcover color book of about 530 pages; size 6” X 9”, with a table of contents and some graphics. This is an exhaust and updated commentary of the book of Revelation in its original language: the old Greek language of Jesus times, supported by Prophecies of the Old Testament, also in its original language: the old Hebrew language spoken by the ancient prophets, to approach the genuine meaning of God’s prophecies. 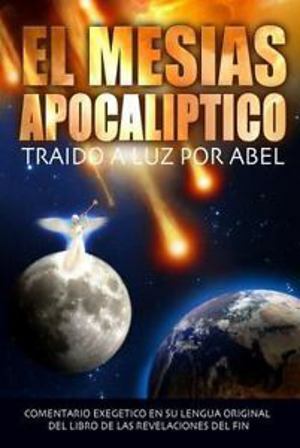 My name is Abel, since I became a Christian I was fascinated and attracted by the Prophecies of the Bible. I dedicated many years to the study and research of the book of Revelation where I made great discoveries, but the best of all was the coming of a warrior Messiah at the end of times to battle God’s enemies on Earth. This Messiah is named through the Scriptures and his name is Emmanuel which means: “With us God”, a Humanized God over the Earth who will take control of this world, stopping wars and bringing Justice to all nations, which is something this world needs right now. Because of this last statement, the coming of this Messiah is of vital importance to all and, this book should be considered of public interest for its contents involves the future of humanity.